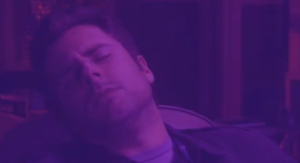 The popular TV show Psych has a season 4 finale entirely centered around Hitchcock films, called “Mr. Yin Presents…” Even the title is a reference to the TV series Alfred Hitchcock Presents which aired from 1955 to 1965. 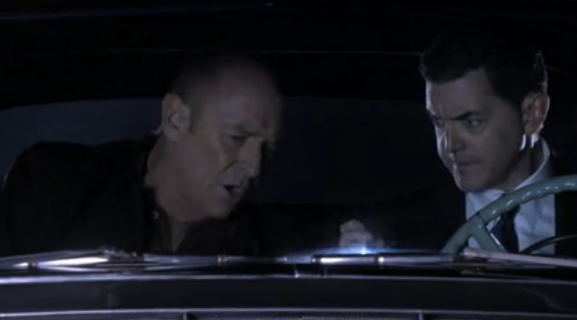 The episode involves a mysterious serial killer named Mr. Yin who bases his murders and clues off of classic Hitchcock movies. 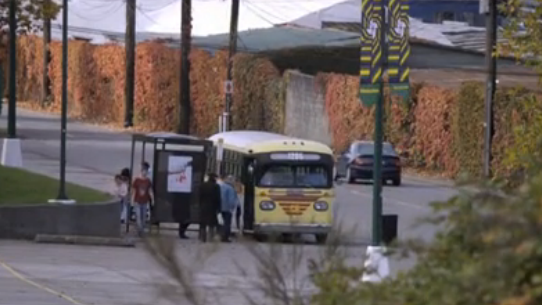 The protagonists of the show must decipher the messages left for them and catch the killer before he strikes again, playing along with the movie scenarios that he is referencing. 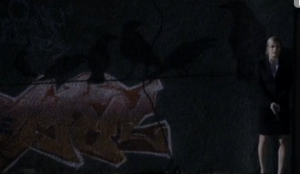 While watching the episode, I managed to find references to Frenzy, Vertigo, Rear Window, Psycho, The 39 Steps, North by Northwest, The Birds, Lifeboat, Marnie, and The Man Who Knew Too Much. This is going to be a long post! The first murder the killer commits and the detectives are investigating was committed via strangulation by necktie. 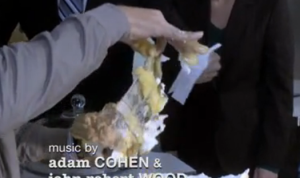 During a dream sequence the main character, Shawn Spencer, has, he sees a woman strangled with a necktie in a similar fashion. A scene directly from the movie plays on a television. Shawn Spencer falls asleep while watching Vertigo, starting a dream sequence similar to that in the movie. The killer casts one of the other main characters, Juliet O’Hara, as Madeleine in his plan to recreate several Hitchcock movies at once. 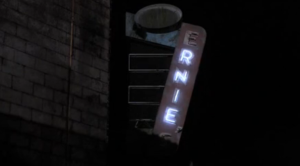 Her clue is the sign for Ernie’s Restaurant, the one that the characters frequent throughout the movie. A staircase that leads to the top of a clock tower where Juliet is being held hostage is very reminiscent of the bell tower’s vertigo-inducing steps. The killer’s entire setup to kill Juliet invokes multiple elements of Vertigo – deadly falls, grey suits, and tall towers. The killer casts Shawn as L.B. Jeffries in his plan to recreate several Hitchcock movies at once. 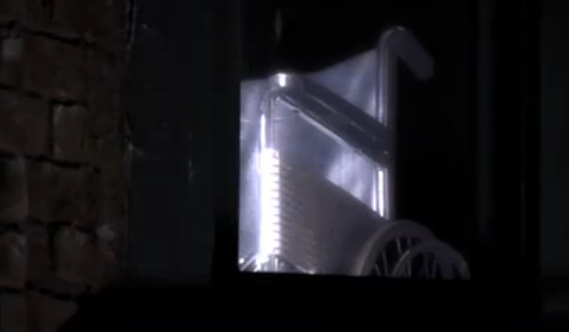 His clue is a wheelchair in a window, like the one that Jeffries was confined to due to his broken leg. The characters watch Psycho in a theater at the beginning of the episode, and the shower scene can be seen in the background. Juliet takes the place of Marion Crane in the shower scene during Shawn’s dream sequence. 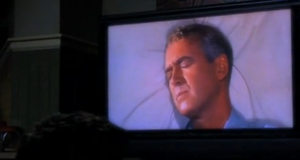 Another main character, Detective Lassiter, humorously portrays “Mother” in the same dream sequence. 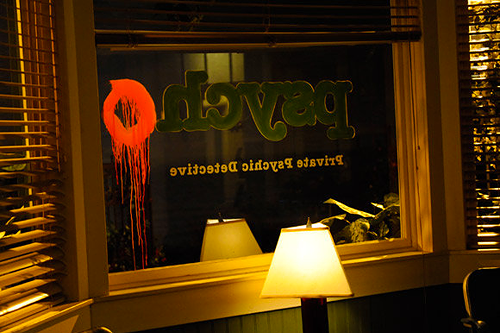 The mysterious killer paints a red “O” next to the Psych logo on the front window, spelling out “Psycho”. The killer recreates Arbogast’s murder scene by stabbing the character Mary Lightly at the top of a flight of steps. 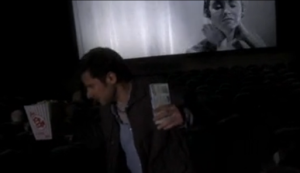 The moments leading up to his death are intercut with parts of the original film sequence. This clue leads them to the 39th step of an actual staircase. While following the clue left behind by the killer, Lassiter is chased by a model airplane in a shout-out to the famous crop dusting sequence. Part of the hint left by the killer mentioned above give the directions “coordinates north by northwest,” which ends up being the north line bus. Graffiti of several birds sitting on a wire appear in one scene. The killer casts Lassiter as Mitch Brenner in his plan to recreate several Hitchcock movies at once. His clue is an old-fashioned car similar to the one that Melanie Daniels is attacked in. The killer casts one of the other main characters, Gus, as Joe Spencer in his plan to recreate several Hitchcock movies at once. 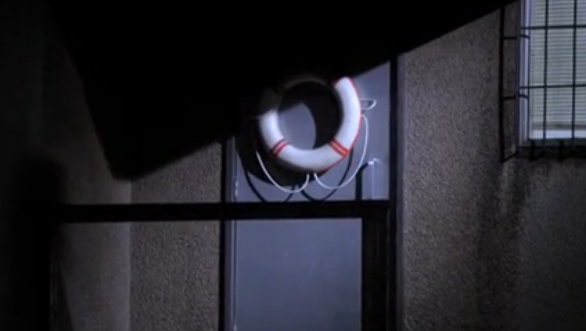 His clue is a life preserver on a door. 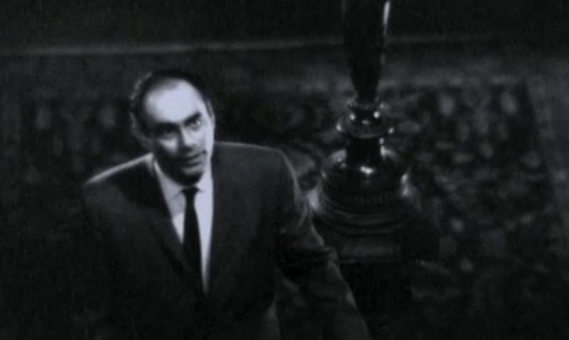 The killer casts Shawn’s father, Henry Spencer, as Mark Rutland in his plan to recreate several Hitchcock movies at once. 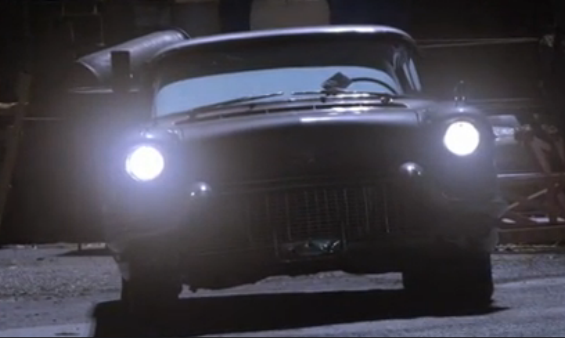 His clue is also the old-fashioned car. A crossword puzzle that contains a clue from the killer is signed “Ben McKenna”, a character from the 1956 version of the movie. That’s all that I could find! Whew, what a list! 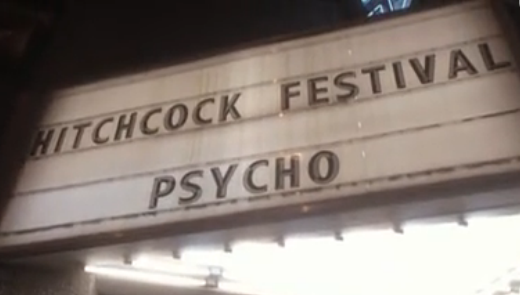 The episode also contains music from the original scores of several movies, most notably Psycho and Vertigo. Overall, a great homage to The Master of Suspense. This entry was posted in Hitchcock Homage on December 10, 2014 by lfremont.